The School Health Centre is the first line of support and first aid during the School Day for our students, faculty and staff and visitors to the campus who need medical attention. 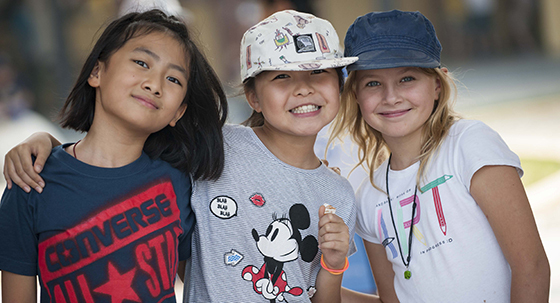 It is staffed by qualified expat and Vietnamese nurses. 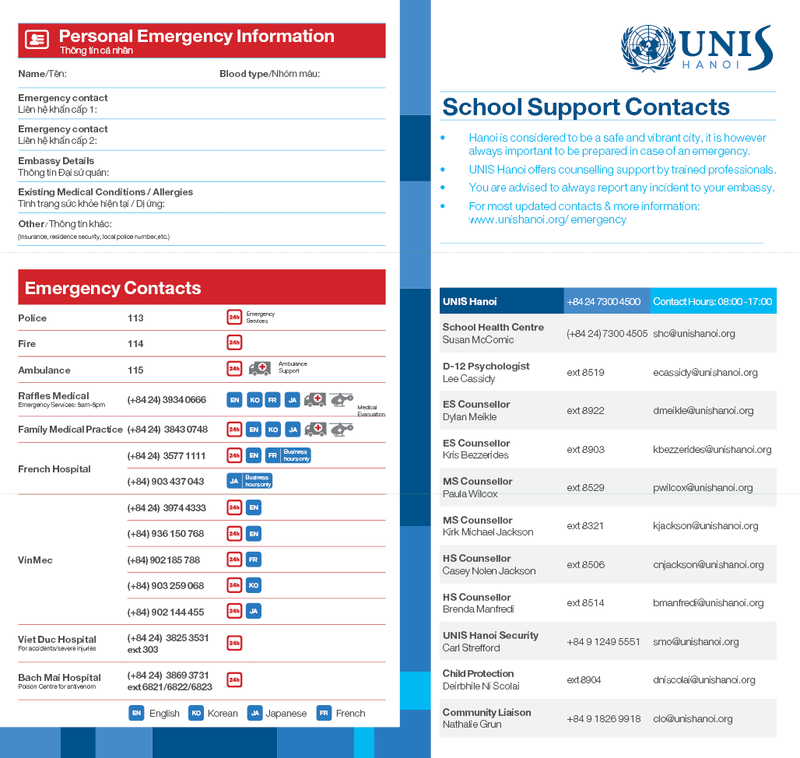 It is important that emergency contact information is up to date and parents can update their information on the Parent Portal. UNIS Hanoi requires all returning students to have a physical examination by a doctor and a new medical form completed every third year. This must be submitted before starting school. Students should have regular medical check-ups to ensure they are growing properly, there are no new health concerns and that they are up-to-date with immunizations. Please comlplete an allergy and asthma action plans when required. Preventing and controlling the spread of communicable disease is quite broad and therefore requires considerable cooperation between the school, parents, student and medical provider. This is necessary to control and prevent the spread of disease and to protect the UNIS Hanoi community. Please CLICK HERE to find out more. Hanoi is the capital city of an emerging country where rapid expansion and infrastructure development has resulted in increasing pollution and air quality issues. UNIS Hanoi is a leader in Vietnam in working to protect the health of all its students and employees. All classrooms have air filtration systems and we have installed our own high-end AQI monitoring system on campus with hand held monitors to also monitor indoor AQI. The readings below represent the average AQI in the last hour outside on campus. The classroom AQI is significantly lower than the external readings. All sensitive students are monitored once the AQI is above 51 (yellow) with progressive restrictions during PE and recess. All students including sensitive students regardless of grade will have modified outdoor PE, break time and activities will be limited to 20-minutes intervals once the AQI value reaches 151 to 200 (red) and above. The whole school will stop almost all outdoor activities except for transit between buildings once the AQI value reaches 251 to 300 (purple) and above. The whole school will stop all outdoor activities once the AQI value reaches above 300 (brown) and above.